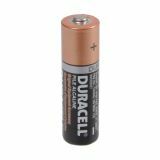 Battery LR6 1.5VDC alkaline AA Alkaline battery for professional and general purpose applications with nominal voltage 1.5 VDC.The battery is AA (LR6) type. 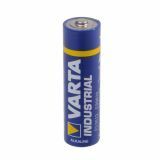 Battery LR6, AA, 1.5VDC Alkaline battery LR6, VARTA voltage 1.5 VDC, for single use. 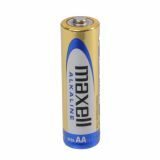 Alkaline Battery LR6, AA, 1.5VDC Alkaline battery LR6, ENERGIZER for remote controls, cameras, toys, flashlights, etc.